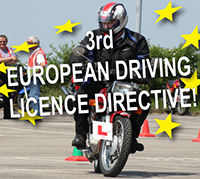 As you may be aware or not, a European Directive (3rd European Driving Licence Directive) is to be implemented across Europe by 19th January 2013 which includes a raft of changes to the motorcycle licence and testing requirements. aiming to ensure that no one can, at any one time, possess more than one licence issued by an EU or European Economic Area (EEA) state. Northern Ireland will see the introduction of this directive. 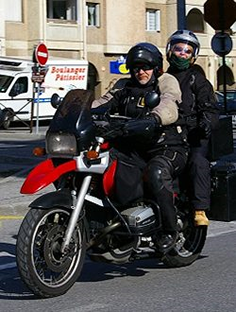 A public consultation was undertaken by the DOE (Department of the Environment), which Right To Ride responded to in April 2010. In January of this year the DOE published a Summary of Consultation Responses, the Department’s Response, and Next Steps including the drafting of the necessary legislation. At Right To Ride we can report that we attended on Tuesday 6th December, the first meeting of a stakeholder’s group which will not only advise members of the group of the implementation aspects of the Directive prior to 19th January 2013, but will be a two way communication on the issues. You can also leave your comments below..